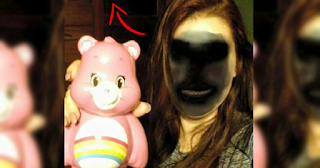 Viral: Creepy Face of the Devil Showed Up in a Famous Mobile Application! One of the most famous phone applications online is face swap. This latest application is now kicking to everyone’s humor. The application features an exciting and funniest face swapping. Many of the Netizens are now experiencing the joy in using this application. Just download any face swap application into your browser, make sure that your phone has a front camera, And just simply invite your friends to swap their faces to yours. Normally, people who use this application asks someone to swap their faces to theirs, but people are now trying to do it with an object that also has a face to make it more hilarious. 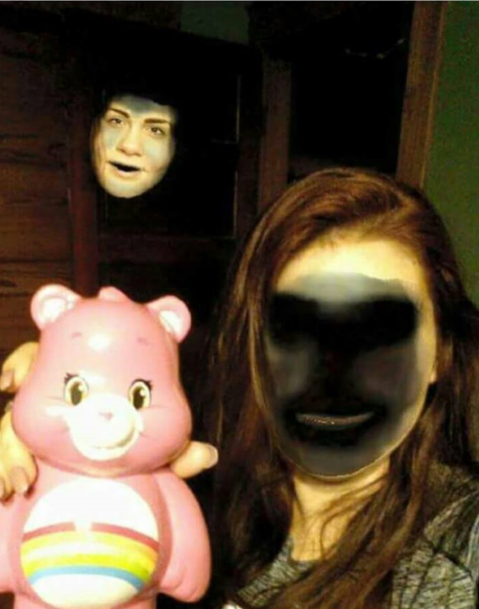 This girl in the picture tried to swap her face to a toy bear, but it flexes out to a very creepy result. Her face was swapped to an unidentified object and people claimed that it is the devil's face. An unknown source said that this lady was involved in a car accident right after taking this creepy photo.